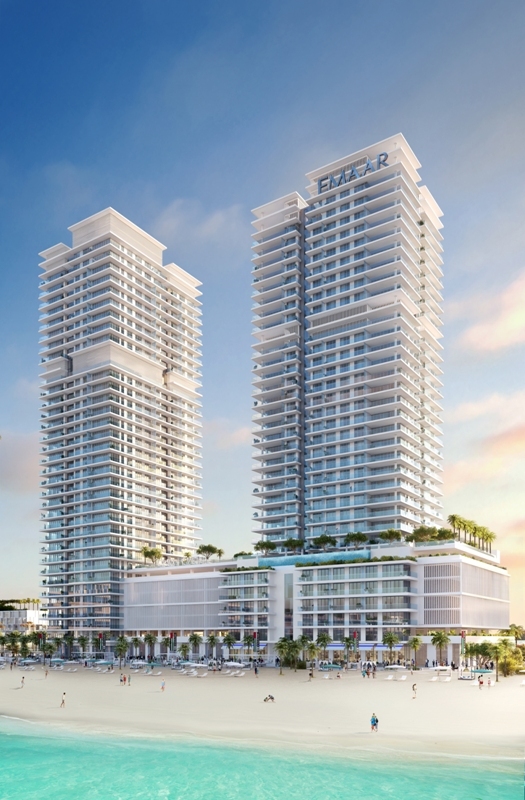 Emaar Beachfront is a massive 20 million square feet development located at Dubai Harbour. It offers a selection of premium waterfront apartments, retail facilities and hotels, in a splendid setting that offers extraordinary views of the Palm Jumeirah, the Arabian Gulf, ‘Ain Dubai’, the world’s tallest observation wheel, and the Dubai’s skyline. 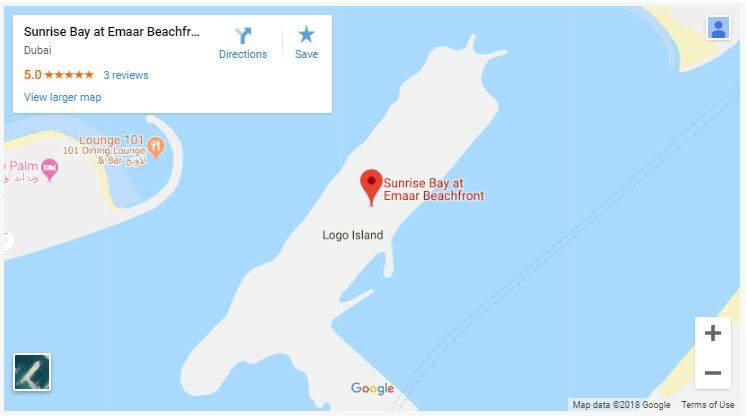 The beachfront t is also home to the largest marina in the Middle East and North Africa region, holding 1400 berths, and holding the world’s biggest cruise ship port, private yachts, and terminal. 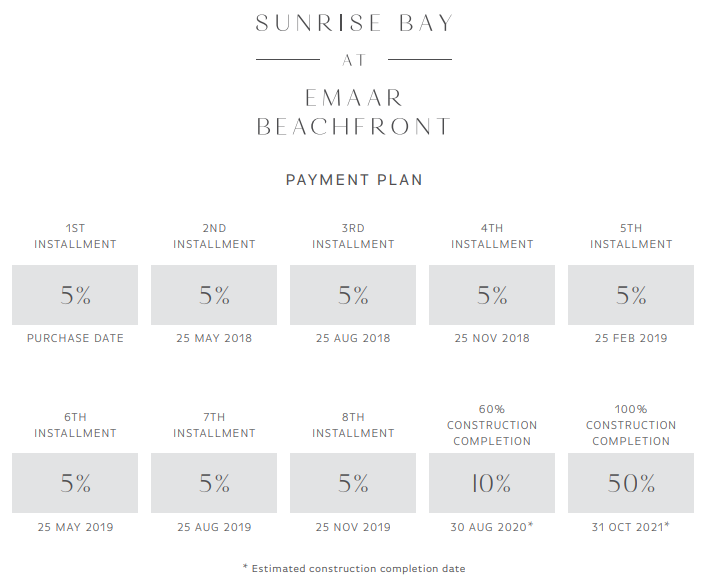 Sunrise Bay at Emaar Beachfront is an exclusive residential community; a premium twin tower of 26 stories. The beautifully crafted building, is inspired by modern yachting culture and sits only a few steps away from the glimmering bay and the vibrant marina. Sunrise Bay Dubai blends artfully with the beachfront setting in the unique new waterfront destination of Dubai Harbour, featuring MENA’s largest marina. This elegant twin tower comprises of 1, 2, 3, and 4 bedroom premium apartments of a beachfront lifestyle of unparalleled standards. Moreover, Sunrise Bay Towers are an exclusive blend of modern facilities and unrivaled views. The Sunrise Bay Apartments overlook the crystal-blue waters of the Arabian Gulf and the Dubai Marina. additionally, there are retail facilities within the development that cove approximately 3.5 million square feet. Another dazzling feature of Sunrise Bay by Emaar is the 135m iconic ‘Dubai Lighthouse’ which has a 360- level observation deck. The location being between Jumeirah Beach Residence and Palm Jumeirah allows or residents to enjoy the best that the area has to offer. This premium Twin Towers project is all about luxurious residential apartment buildings in an iconic setting in the heart of Dubai, only steps away from the ocean and Dubai Marina. 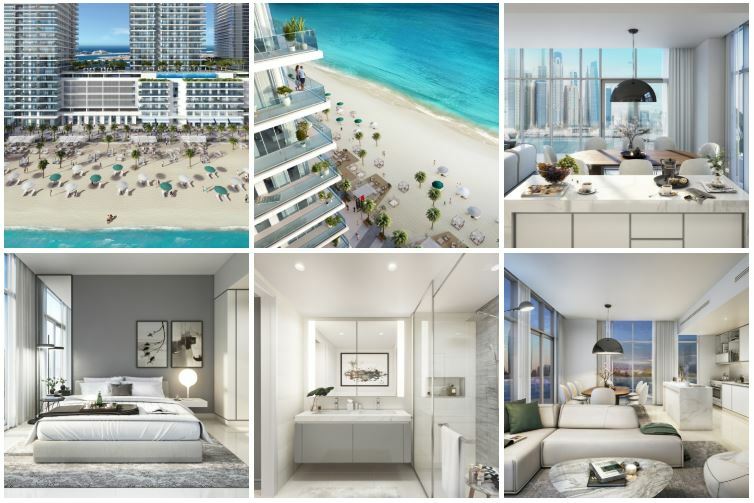 Check out the Sunrise Bay Brochure for the exclusive beachfront lifestyle offerings, promising to be truly one of a kind.